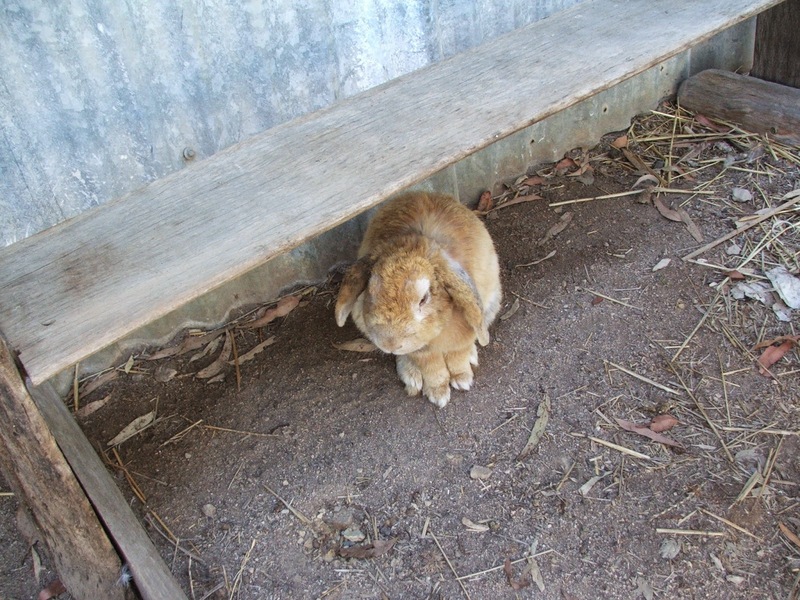 I want the weaving width to be about 70 cm. 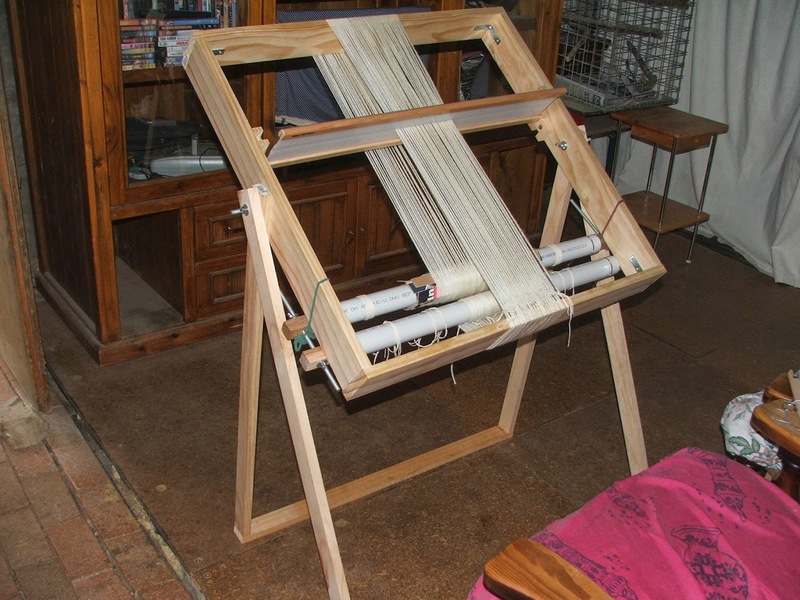 So I bought myself a 70 cm rigid heddle (a frame which lifts the warp threads up and down to facilitate weaving) and designed the rest of the loom around it. 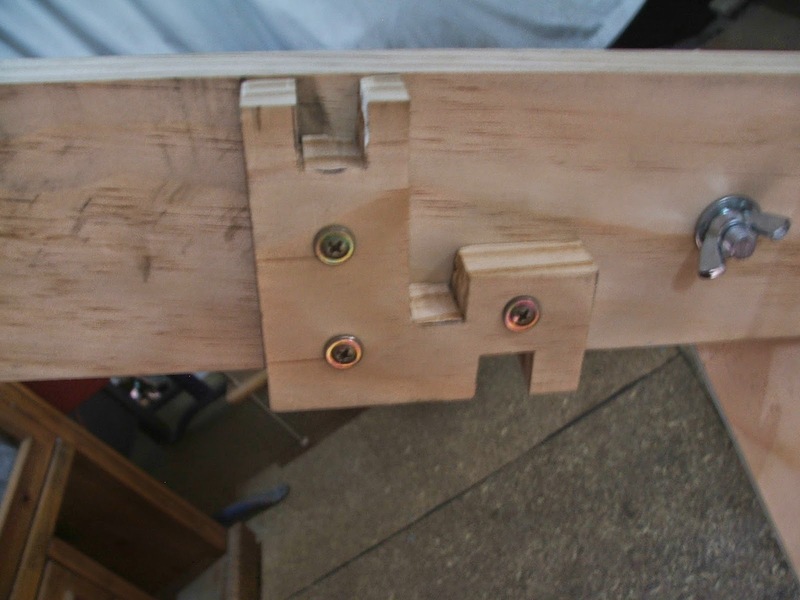 The YouTube clip below inspired my design, but I added a way to wind warp from the back beam to the front beam so I could weave longer pieces. This is the design I eventually came up with. 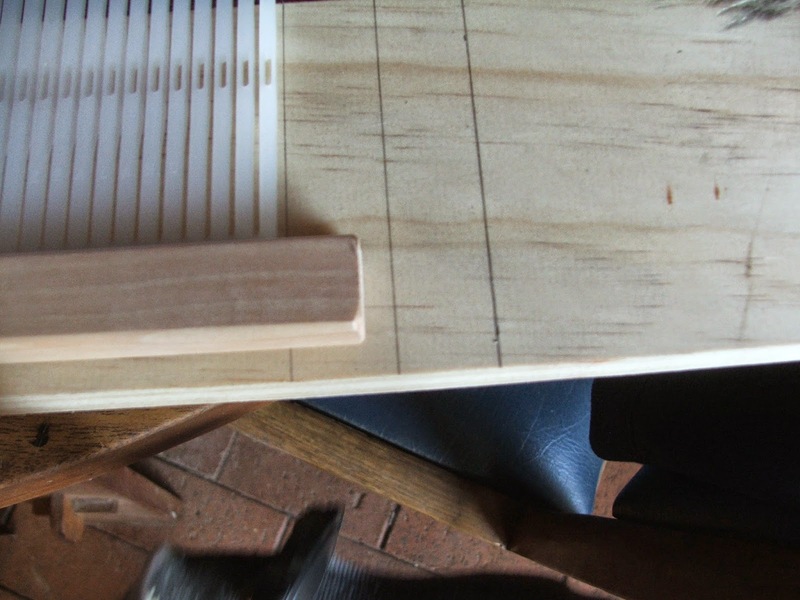 This is the heddle guide in action. This is the rigid heddle; the entire loom is built around this piece of equipment. 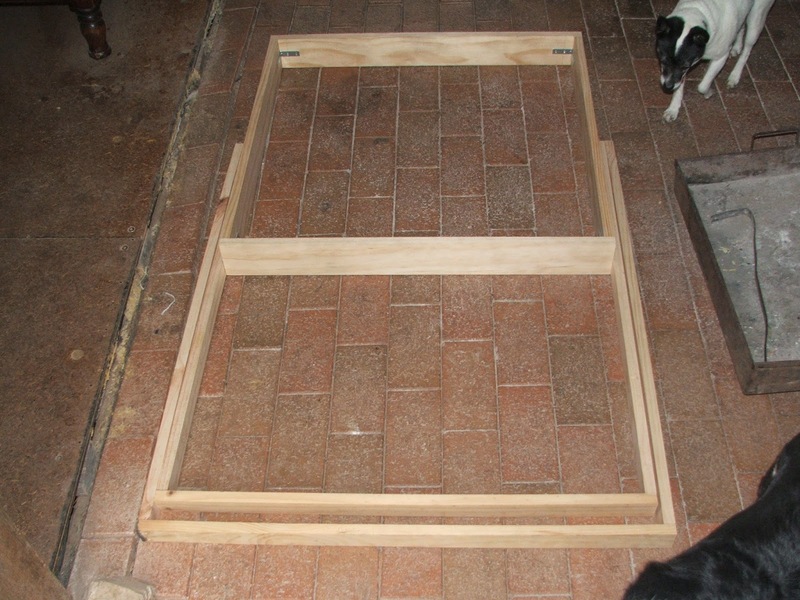 I measured the frame pieces and made sure the heddle would fit nicely inside it. 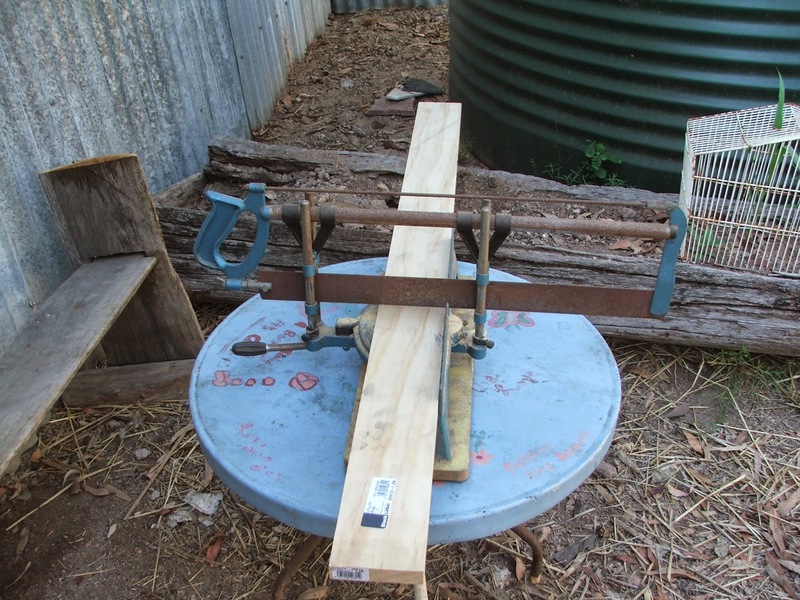 Then I cut the frame pieces using this nifty gadget I found in the shed. 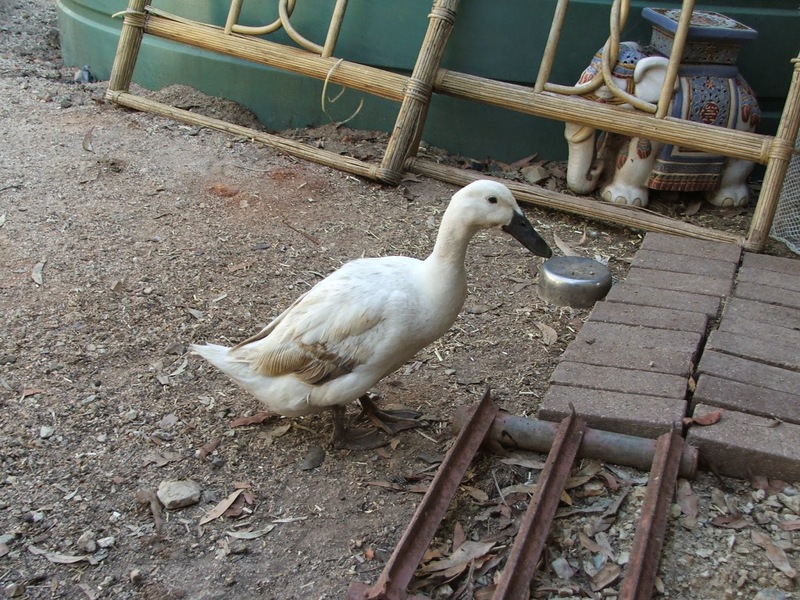 Puddle duck looked on suspiciously and made loud quacking noises. 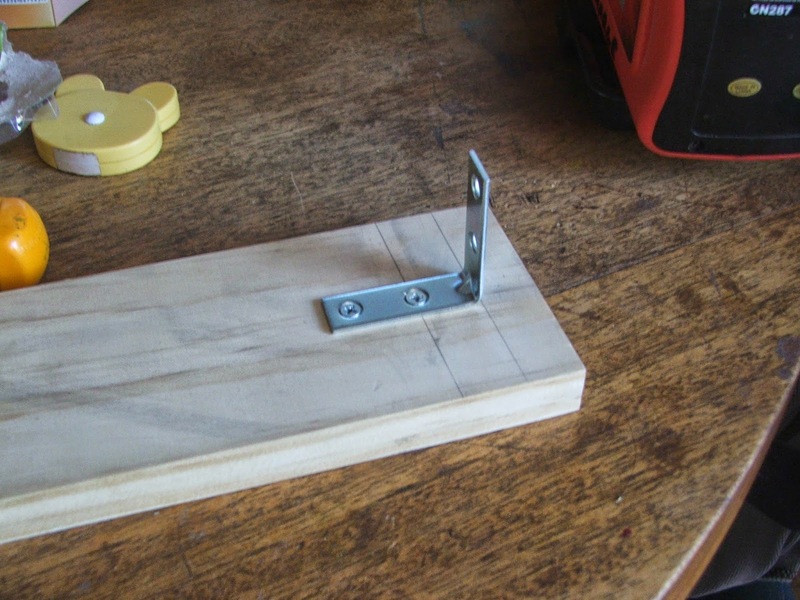 I used these corner bracket thingies to hold the frame together. The heddle fits perfectly and the frame is strong. 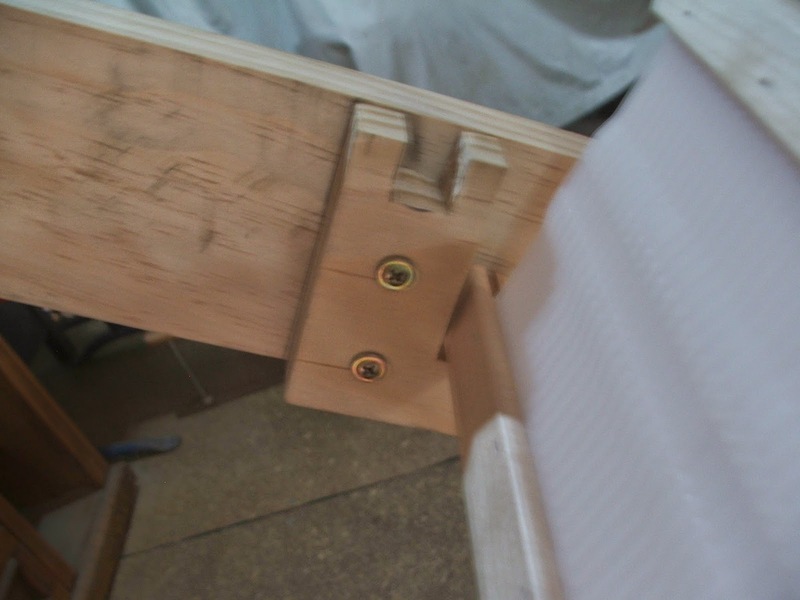 Note that the side pieces are positioned inside the top and bottom pieces so that the pressure of the warp will not be only on the brackets. 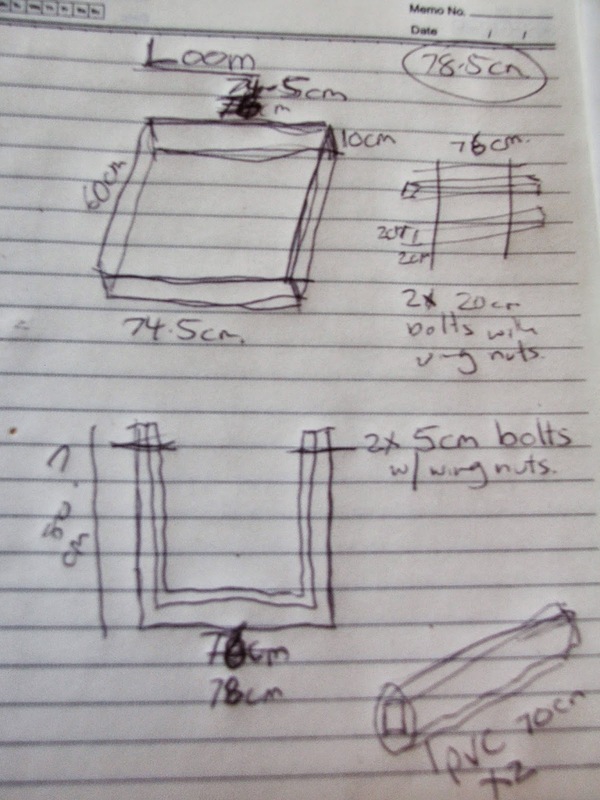 I then measured the ‘legs’ to be the height I wanted as per the clip instructions and cut them on the handy gadget. These two bits are my warp and cloth beams. I will explain them in more detail below. This diagram might help you understand what I am on about. 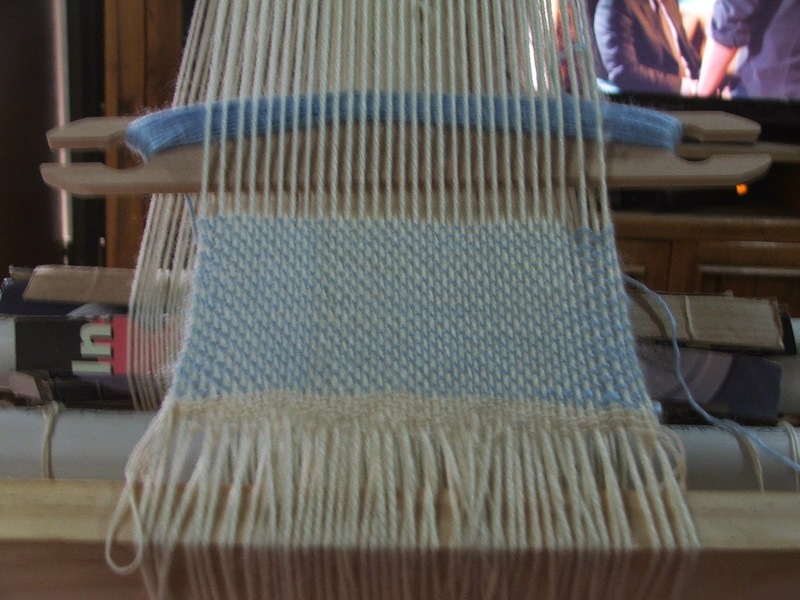 The warp and cloth beams on my loom are not attached as they are on a normal rigid heddle loom. 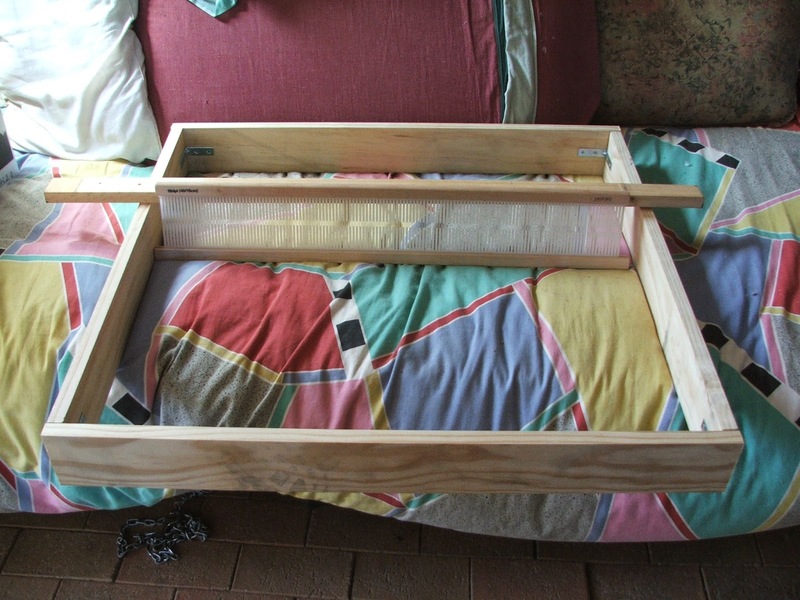 Instead they rely on the warp (and some shoe laces) to hold them to the frame. 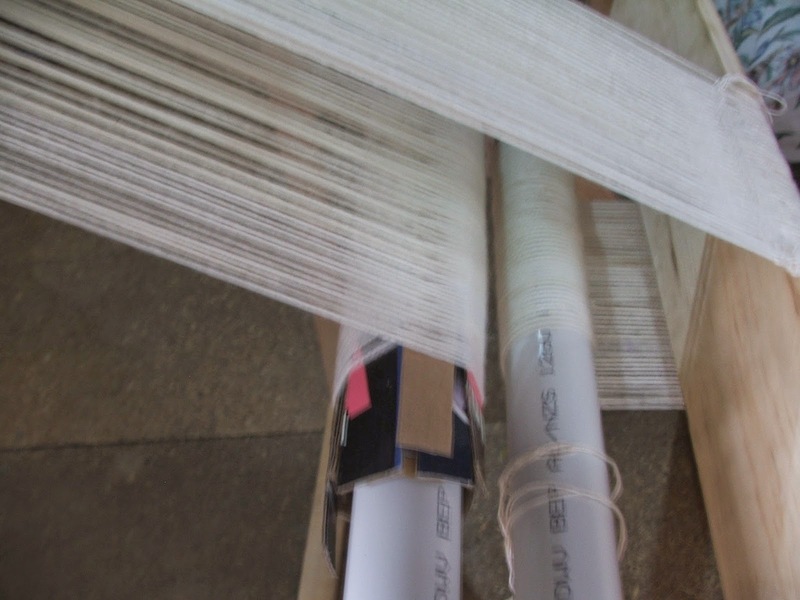 On most looms the beams act as storage for the warp and cloth as well as being a tensioning device (keeping the warp tight enough to weave on). 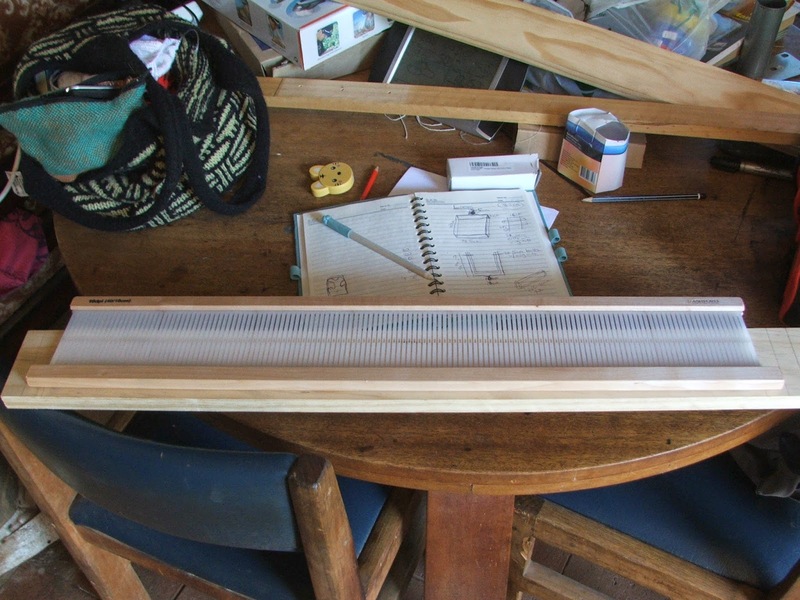 On my loom the two beams will be bolted together (as in the original design clip) to act as a tensioning device and the two bits of PVC pipe will act as the rollers for the warp and cloth. 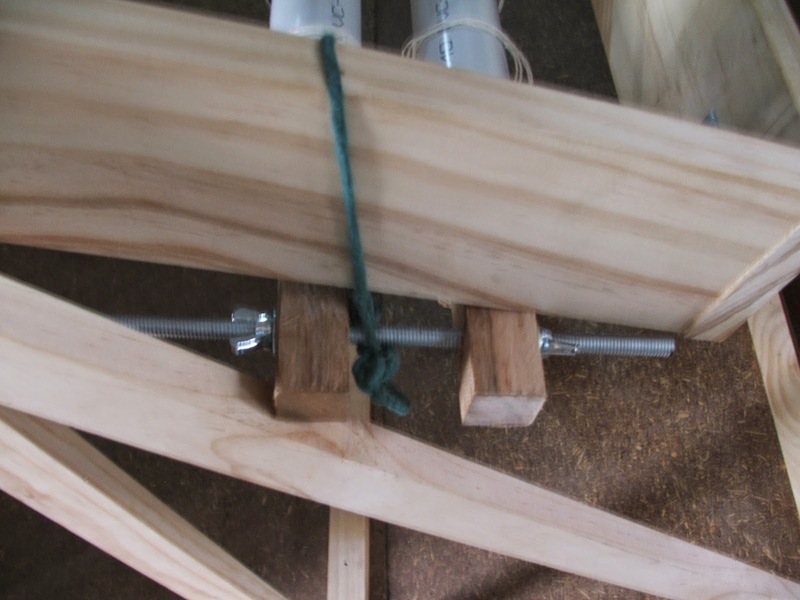 The rollers have an apron rod attached (to anchor the beginning and end of the warp) and holes drilled at intervals around the edges to align with a hole in the beam so pegs (nails in my case) can be used as both a crank handle and pawl so the warp can be moved through the loom while still maintaining warp tension. The long bolt things pass through the beams and the wing nuts are used to fine tune the tension. This is the loom with it’s first warp. You can see how the tension device works. 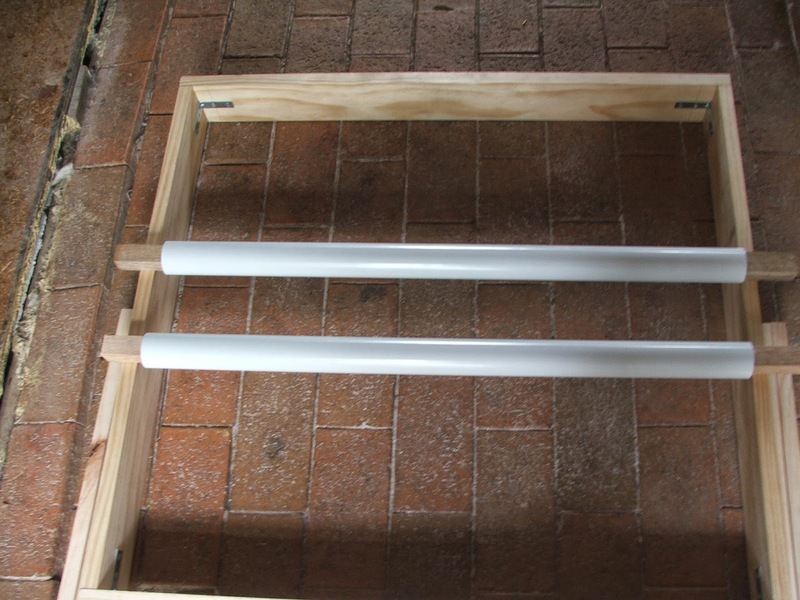 A closer look at the beams with their PVC rollers. This is the beginning of my next project; a woven bag. Using the rigid heddle is so easy and quick. I love my new loom and I love that I made it myself (with minimal help from my partner). 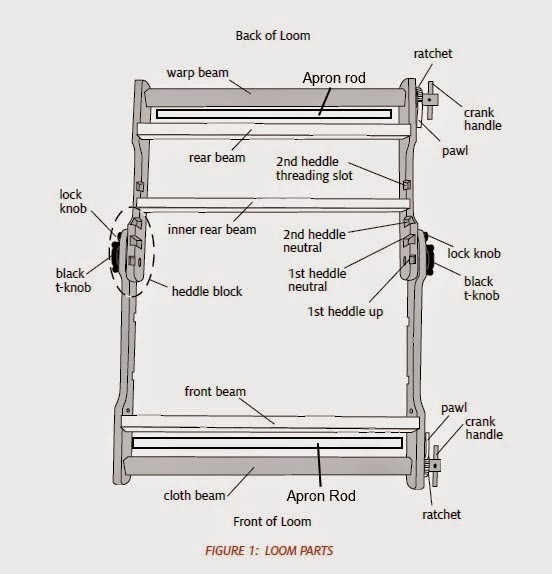 If you are wanting a quick to build, cheap loom this is the design for you. In total this loom cost me $120 to build, including the rigid heddle.